Off to the side of Wat Traimit is a small chapel containing the world’s largest solid-gold Buddha, cast about nine centuries ago. 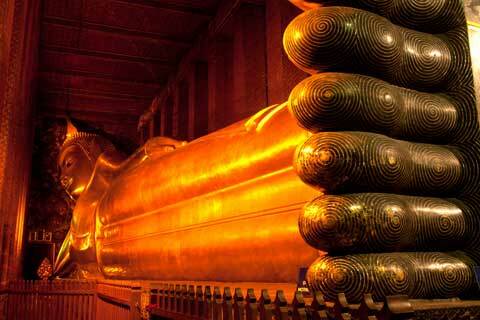 The graceful seated Buddha is nearly 10 feet high and weighs over 5 tons. This powerful image has such a bright, reflective surface that its edges seem to disappear, and it gleams with such richness and purity that even the most jaded are inspired by its strength and power. The statue is sculpted in Sukhothai style and is believed to have been brought first to Ayutthaya. When the Burmese were about to sack the city, it was covered in plaster to hide its value. Two centuries later, still in plaster, it was thought to be worth very little. 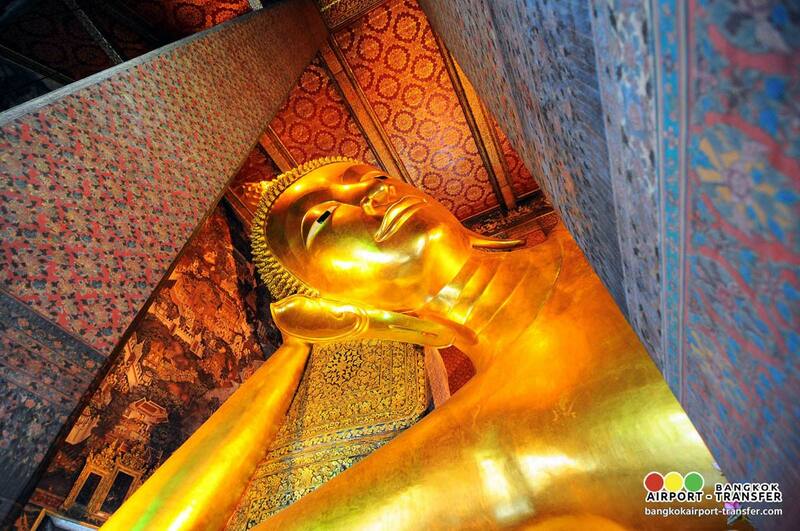 The Golden Buddha was discovered by accident in 1957 when it was being moved to a new temple in Bangkok. It slipped from a crane and was left in the mud by workmen. 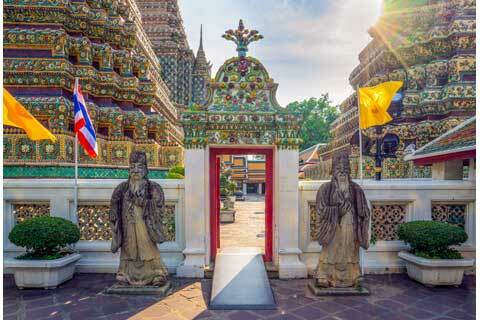 Wat Pho was built as a restoration of an earlier temple on the same site, Wat Phodharam, with work beginning in 1788. 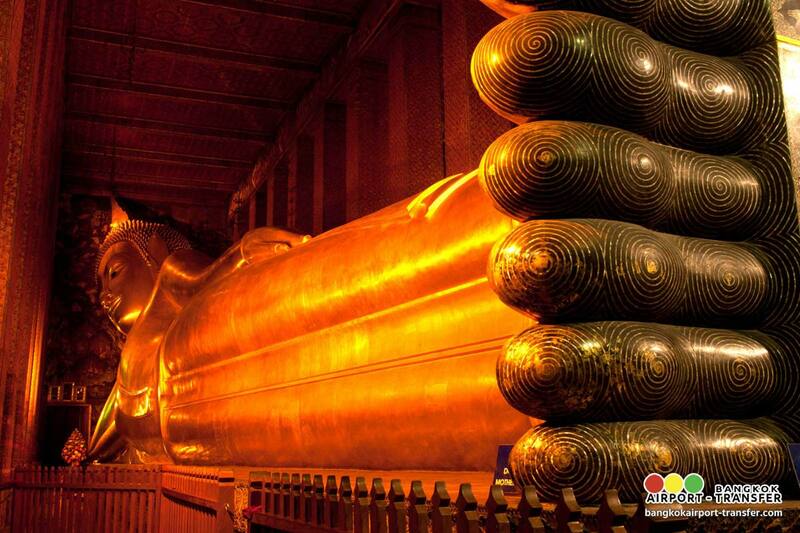 It was restored and extended in the reign of King Rama III (1824-51), and restored again in 1982. 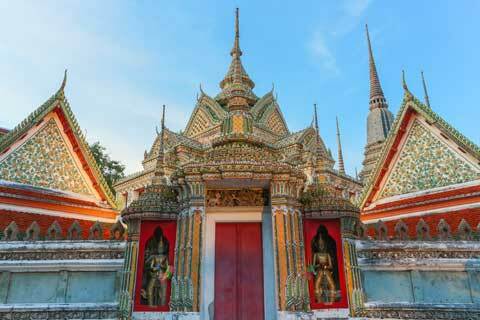 Wat Pho is the birthplace of traditional Thai massage. 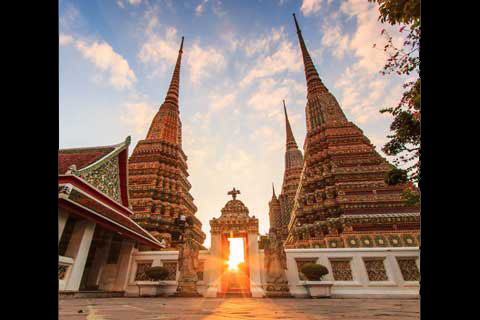 Even prior to the temple’s founding, the site was a center of education for traditional Thai medicine, and statues were created showing yoga positions. During the Rama III restoration plaques inscribed with medical texts were placed around the temple, while in 1962 a school for traditional medicine and massage was established. 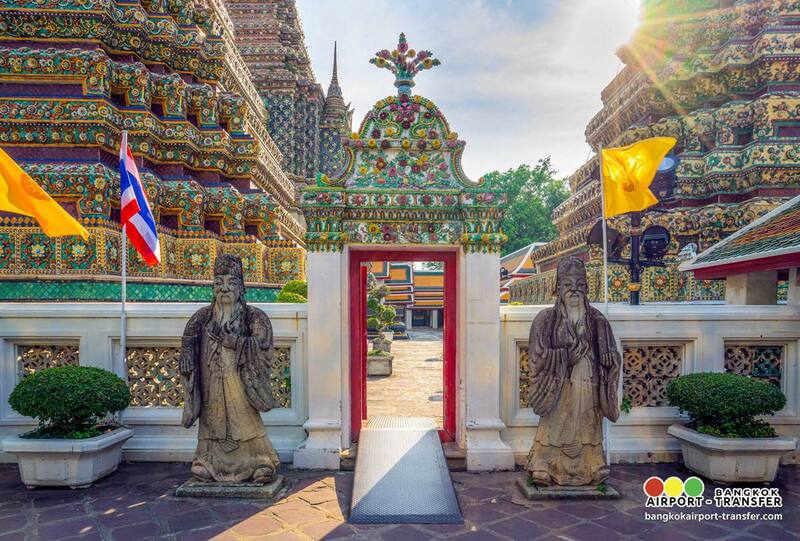 The Marble Temple was built in 1899 by Prince Narai, the half brother of Rama V. Thailand’s present king spent his days as a monk here before his coronation. 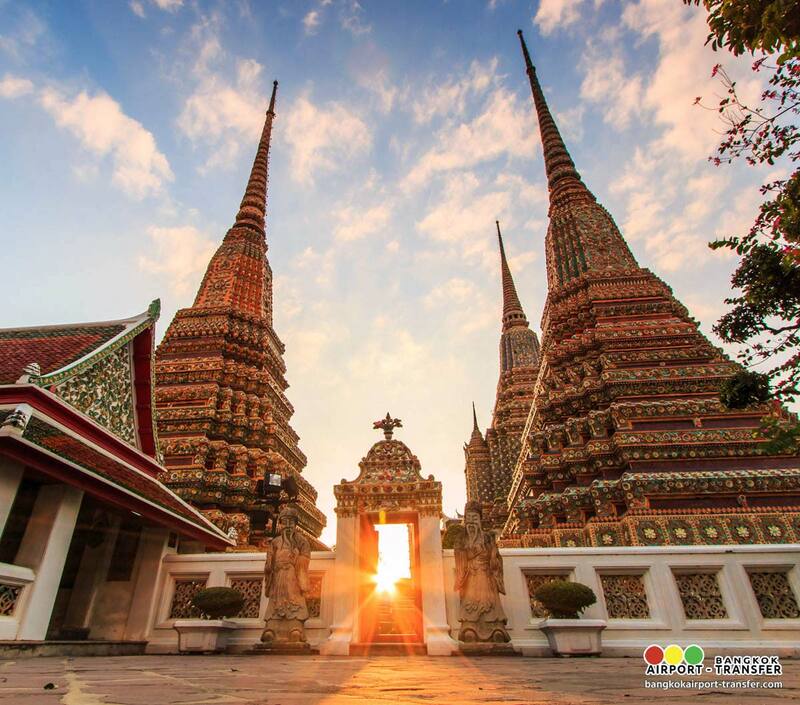 Today, Marble Temple is not only a magnificent Thai temple, but a seat of learning that appeals to Buddhist monks with intellectual yearnings. 09:00 Meeting at Hotel lobby. 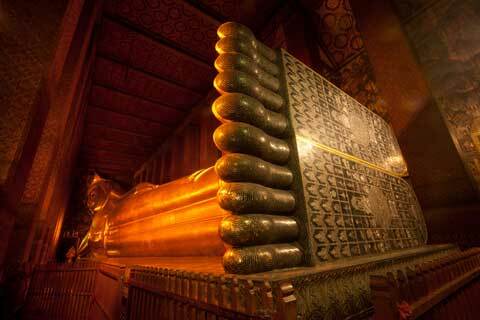 09:30 Visit Wat Trimit with golden Buddha. Then drive through Chinatown to the flower market at Pak Klong Talad. 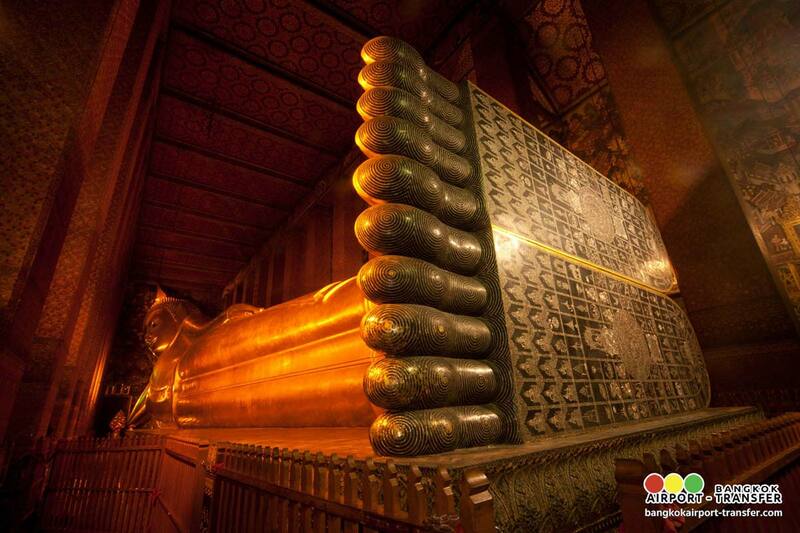 10:10 Visit Wat Pho, the temple of the Reclining Buddha. City-sightseeing tour along the old city. Drive passes the Royal Grand Palace, Thai Boxing Stadium, passing the Democracy Monument, various ministries and government offices. 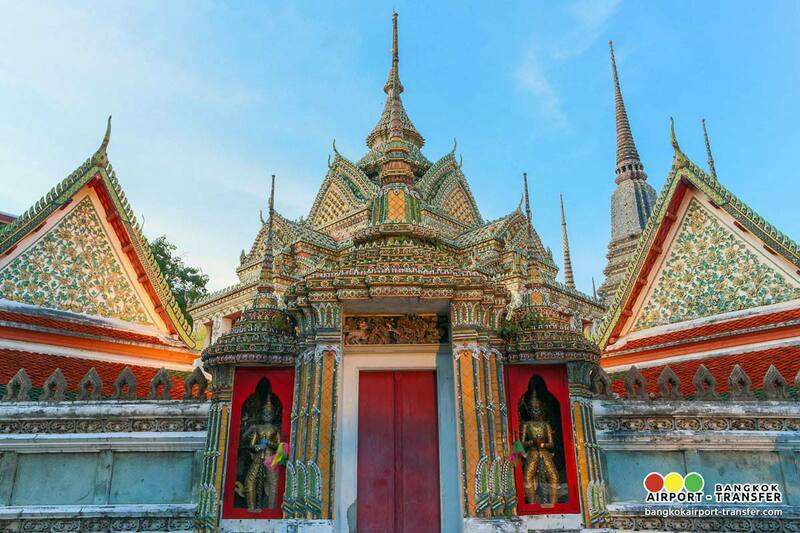 11:30 Visit the Marble Temple and passing the galleries where the most beautiful Buddha images in various positions are kept.Passing the Chitlada Palace King’s Residence and City Tour.